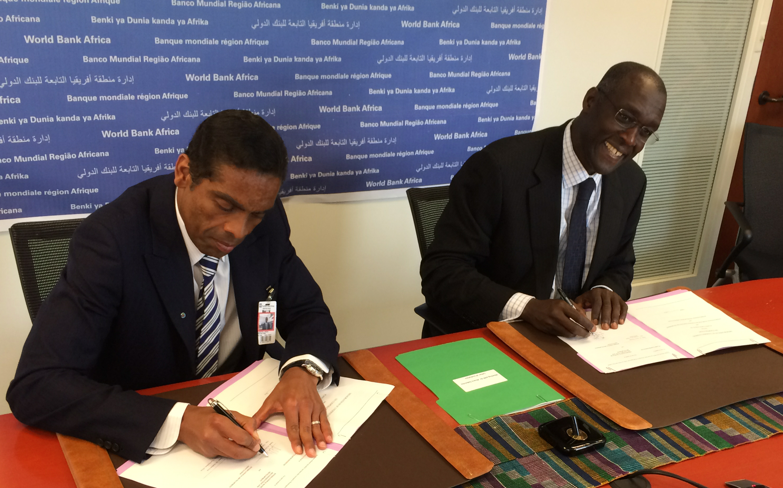 Last week, I was delighted to sign a landmark agreement with the World Bank in order to strengthen and support the involvement of business in Africa’s scientific development. I met again with Makhtar Diop, Vice-President for Africa of the World Bank, and someone I hugely respect as an inspiration for African development, in Washington D.C. As we say in Angola, Makhtar is someone I view as my irmão in this cause for Africa. As those who know me will have probably already heard, I have long felt that there is too big a gap between the businesses in Africa, and business leaders that drive them, and the debates about future science and technology policy. Science in Africa has the potential to transform our continent, but to do so, we must make it real, and applicable to the problems that we all face in day to day life. Business can do that; by applying scientific research to products and inventions, by investing in research and development and in many other ways. Answering some of the challenges of today, of jobs, poverty and social security, but doing so in a way that is empowering our long-term development as a continent of independent and knowledge-based economies. The details of our agreement will become fully public in the coming weeks and months, but it is based on the Planet Earth Institute and the World Bank joining together to try and bridge this gap. We will be recruiting a group of influential Africa Business Champions for Science, of which I am proud to be one, and to continue to increase our outreach and collaborations with businesses and enterprises of all sizes working on the continent. During our trip to Washington, I was also delighted to meet Michel Sidibé, UNAIDS Executive Director, and hear about the fantastic work they are already doing in Angola and across Africa. There is a long road ahead in terms of developing and embedding African science, but with Makhtar and Michel, I feel inspired and confident we are on the right track. This entry was posted in Blog, Business, Education, Science and tagged africa, business, science by Alvaro Sobrinho. Bookmark the permalink. Has been a long time that a have the pleasure to meet even by email Dr. Alvaro, one of the peoples that change Angolans economy to a new glories era, lifting up to the top as it standing. There is a lot that a can describe about your self in this little page. I wonder why you did not become the new BNA governor? As the president always says;right people to the right place to help build Angola.